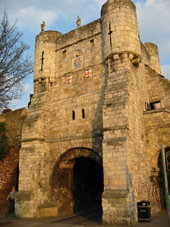 Bootham Bar is a good point to start your walk around York's walls, where there are steps leading up into this gate. 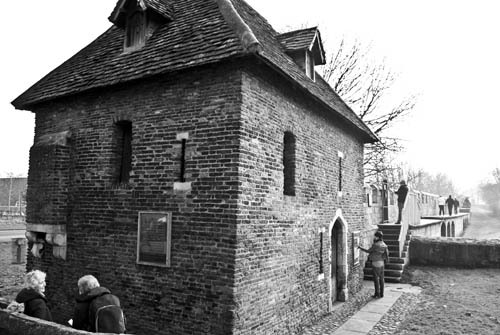 (above) View from inside the walls. 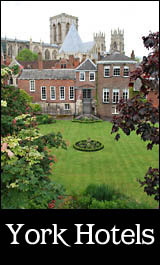 (above) Views from outside the walls. 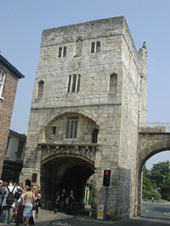 Opposite this gate today is the York City Art Gallery where open top tour buses pickup. 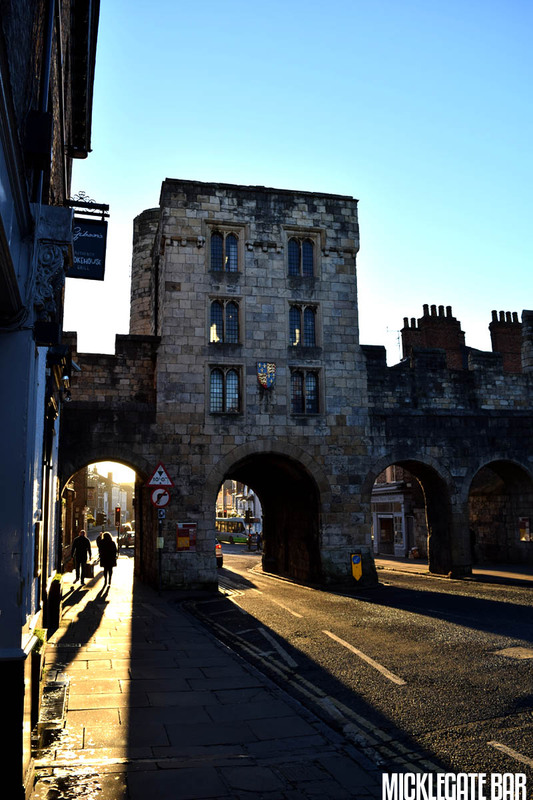 You can get good photos here of Bootham Bar with York Minster in the background. 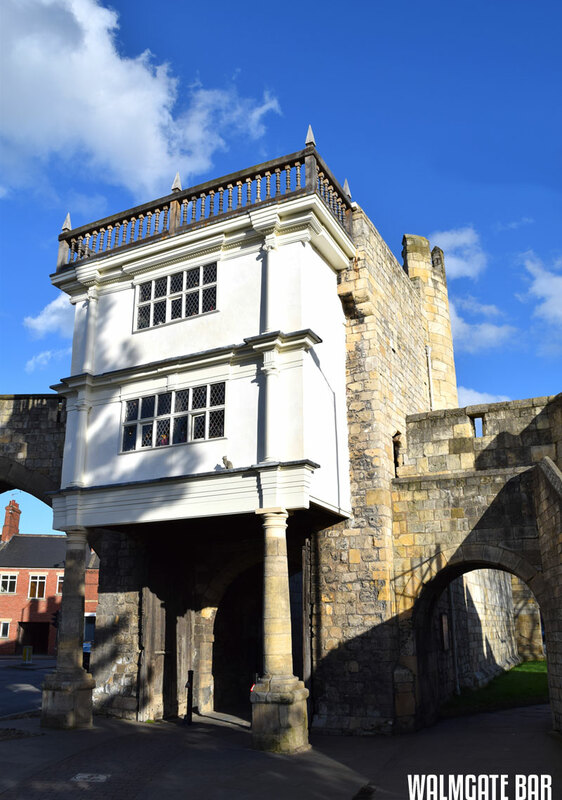 The large white Georgian building next to Bootham Bar is called - De Grey Rooms. 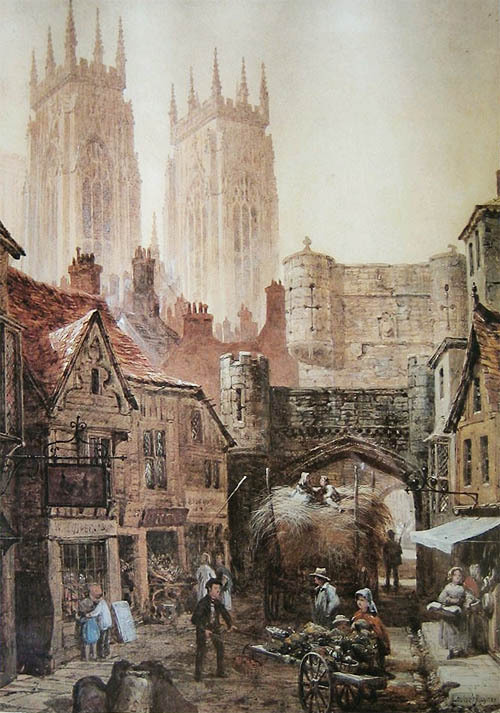 The old painting above shows the barbican intact before it was demolished. 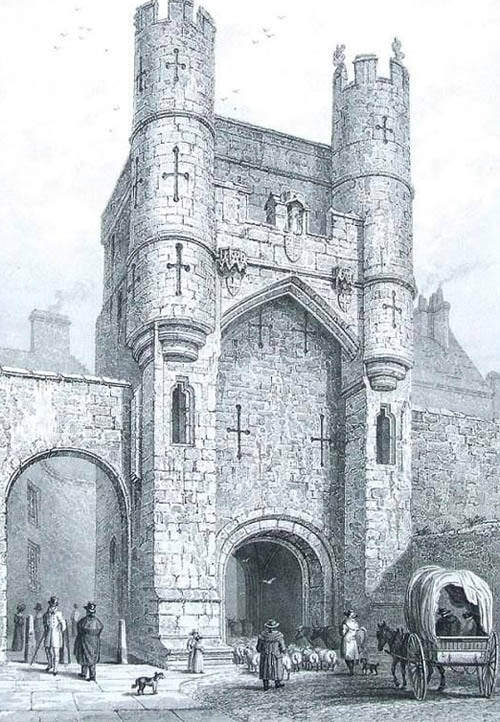 Has someone since added a statue on the top/middle of the bar? 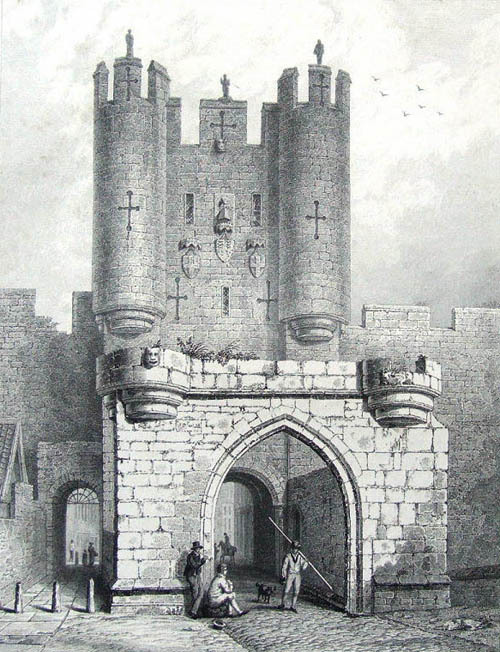 as it is not on this painting. 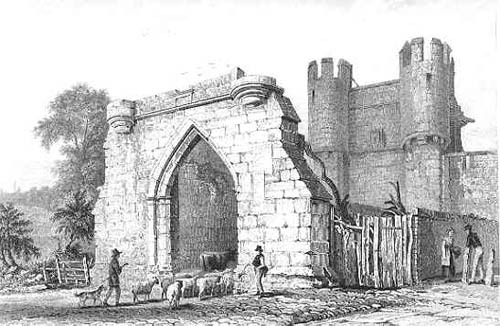 The barbican entrance as shown in the black and white print above has since disappeared. 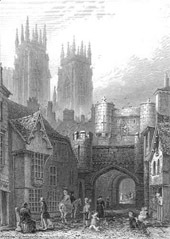 The colour photo below shows the bar today. 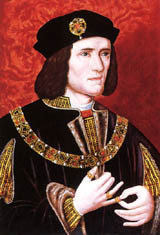 Richard III - "This son of York"
Archaeologists announced on 4 Feb 2013 that bones excavated from underneath a car park in the city of Leicester belong to the medieval king Richard III. 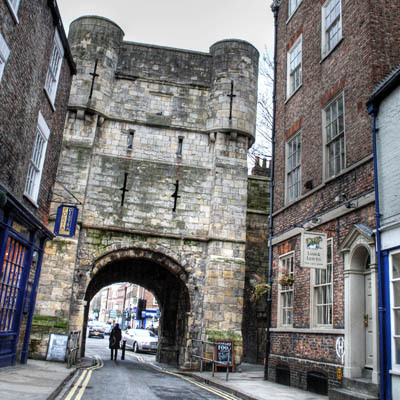 Thousands of people signed a petition for Richard III to be reinterred at York Minster. 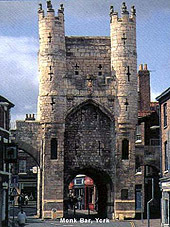 Walmgate Bar is the only one of York's bars that has retained its barbican (fortified outer gateway). 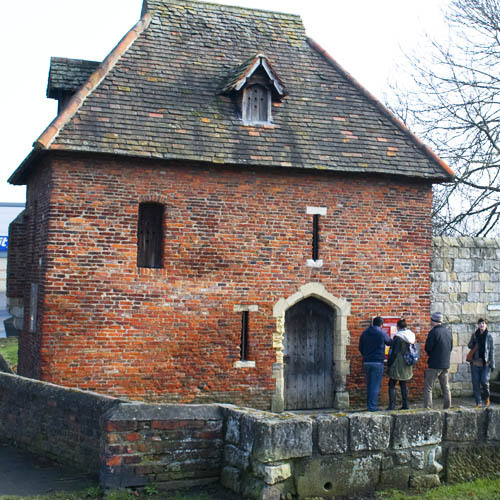 Walmgate Bar also has a timber-framed house on the inner side of the gate that was still lived in up until 1959 (shown below). 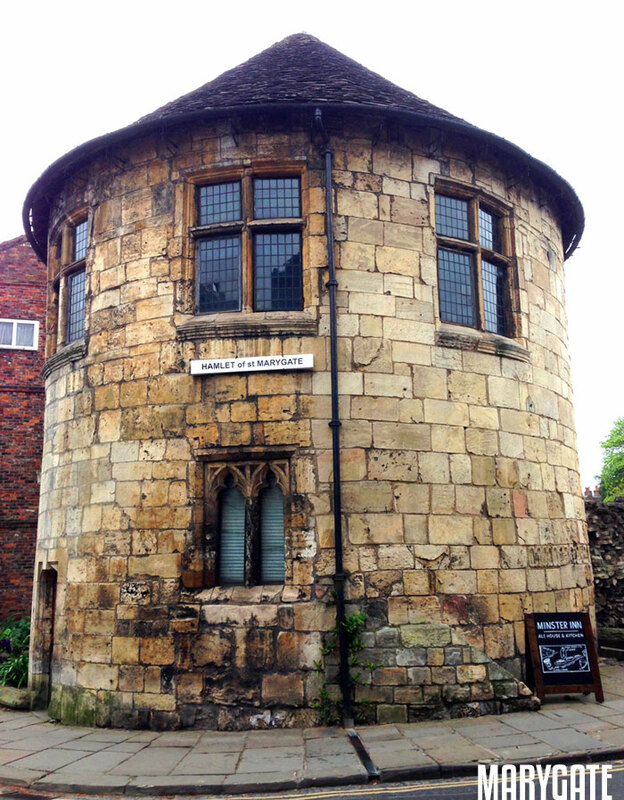 Today this is home to Gatehouse Coffee. 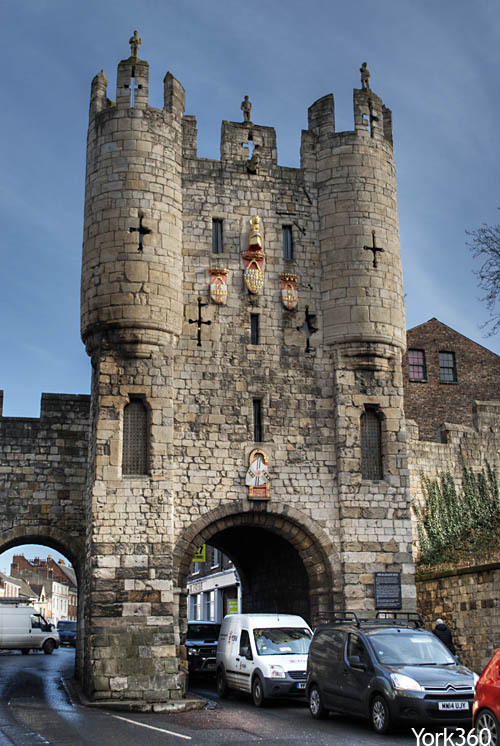 This gateway has been recently restored and looks great! 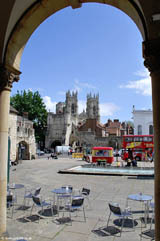 Look out for the little cat in the photo.